But suppose you are 40 years old and you have attended atleast 10 marriage ceremonies of your relatives, 10 foreign tours and many other sweet memories. And now if you are a photo savvy person, you most probably will have collections of photos in thousands. Now try finding all your photos with your friend say Leeza. Difficult right? Actually very difficult. Lets say you had a separate folder for Leeza. But what about your other friends in general. You simply cannot create seperate folders for all of them. And now your simple gallery app cannot help you with this. Because it cannot understand photos or recognize faces. In other words, if you have a large collection of photos you need something more than storing and viewing. 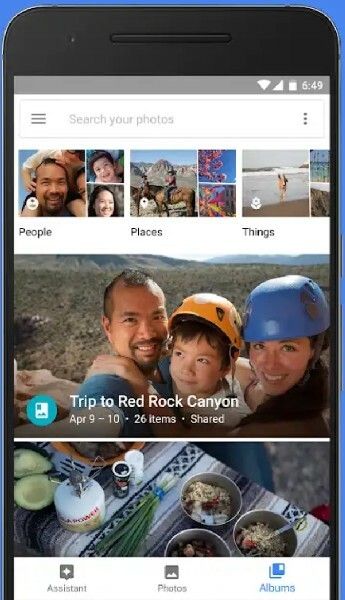 And this is where Google Photos can help you. 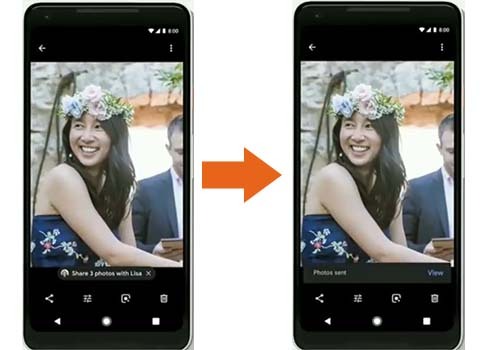 Google photos can understand photos. It can recognize every face in your collections. And you ask how? Well, thats a whole different topic on Neural networks and deeplearning. And the purpose of this article is not to discuss that. 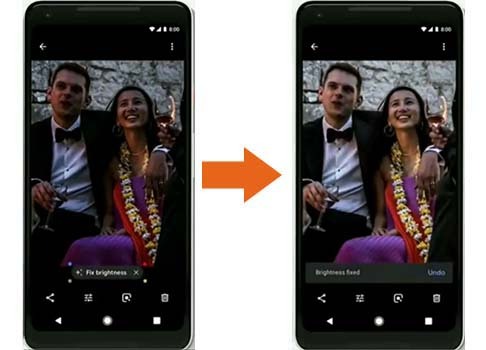 But if you ask how well Google photos does that, we can discuss it here. 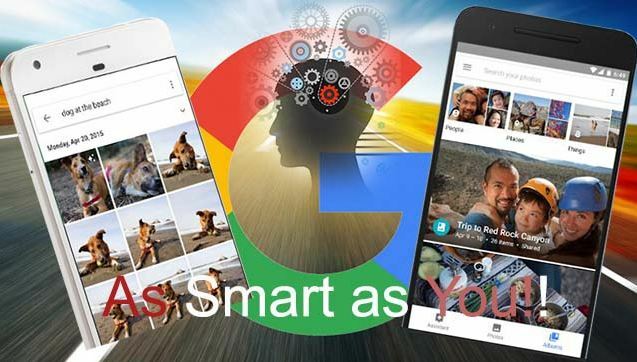 How well Google photos recognize your face? The great minds working in this field have set human ability and intelligence as the standard for Machines. Human Intelligence is extremely complex. A person saw a man once years ago and say things like "Maine use kahin dekha he" or "I think I saw him somewhere". Inception V3 achieved such impressive results,rivaling or besting those of humans,by using a very deep architecture, incorporating inception modules, and training on 1.2 million images. However, this model is limited to identifying only the 1000 different images on which it was trained. 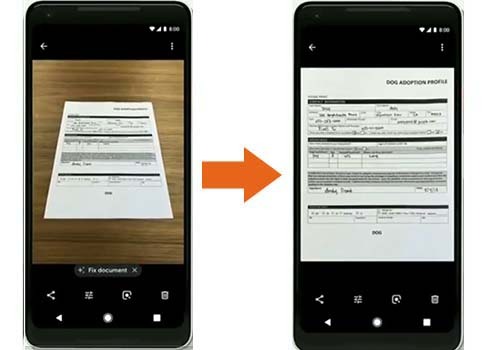 If we want to classify different objects or perform slightly different image-related tasks (such as facial verification), then we will need to train the parameters,connection weights and biases,of at least one layer of the network. But this does not mean that the system will take lot of time to detect your face. Once the system has recognized your face after training on a sufficient amount of data, it can detect your face from any frame as fast as you do, may be even faster. You can also do a simple name search. The interesting thing here is that chances are the system already knows the names of the faces in your collections. How? Well, the system might have known them from their own Google accounts or, if they are famous, the system knows them from the internet. My own assessment is that the Photos app works phenomenally well. It can detect the target face from any orientation. It can detect you even if you have clicked yourself from a darker space. If you’re in a photo and are part of the audience for that post, we’ll notify you, even if you haven’t been tagged. You’re in control of your image on Facebook and can make choices such as whether to tag yourself, leave yourself untagged, or reach out to the person who posted the photo if you have concerns about it. 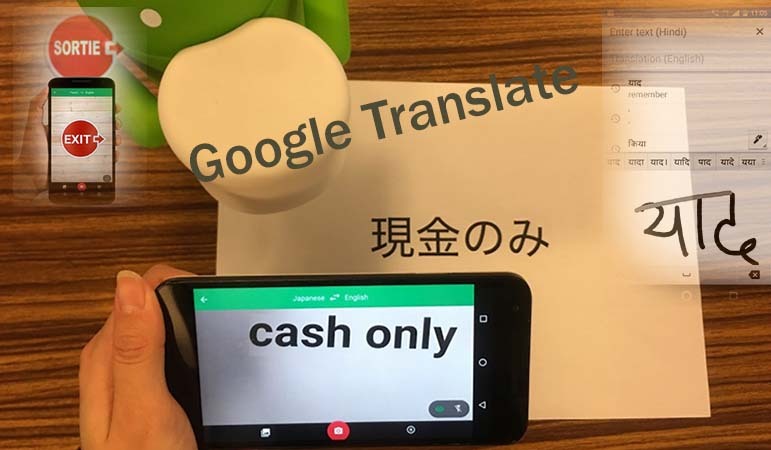 And you probably also know that using Google Lens, which is now part of Google Photos, you can extract information about an unknown object. And the scary thing is that the unknown object could be a human being. Scary because an unknown person standing next to you might extract information about you without interacting with you or without your knowledge and consent. This might be a huge boost to security agencies and national security and for the government. But what about your privacy? We will discuss this important issue later in this article. 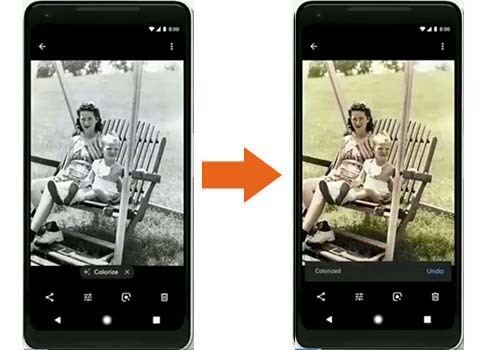 In the meantime, let's move on to explore some more amazing things about Google Photos. One of the best part of Google Photos is that you can search photos from your collection with any keywords. For example, suppose, you had visited a place two years back and now you want to see those photos. With the Photos app, you don't need to do a long scrolling and browsing. All you have to do is hit the search bar and type, say, visit to Los Angeles. This feature is same as normal Google search but within the space of your collection. The Photos system can organise your photos in any fashion. The amazing thing about this is that this does not require extra space. Common groups you will normally see are People, Places, Things, Family, Wedding and so on. Google photos app was last updated on June 28, 2018. The features presented at Google I/O 2018 are not available yet. 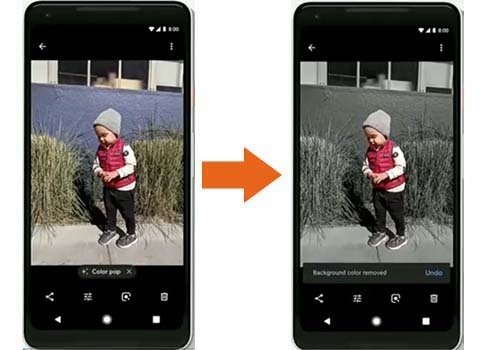 Your photos app will soon have a new feature called suggested action, essentially suggesting smart action right in context for you to act on. In this sample, the system suggested you to pop the background color and the pic looked just cuter. I am sure, users will have lot of fun playing around. All these new features are not simple editing. These are done by the AI system after having trained itself on billions of photos. So lot of fun ahead!! 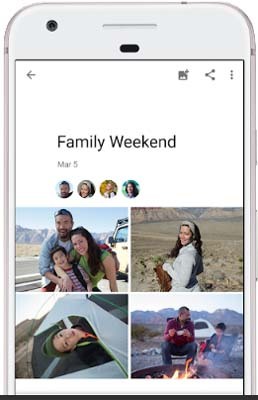 How secure are you with Google Photos? I have met with quite a few people who are not comfortable using Google photos. Their primary concern being security. They fear that their private pics could be leaked and misused. Now the question is, is this fear justified? It is true that unless your Google account is hacked, your photos are private. But can you really call it private when your photos are being used to train their intelligent systems and extract information about you? This is what worries some people. One may argue that the more Google knows about you, the better capable Google would be to suggest you more relevant ads and information. 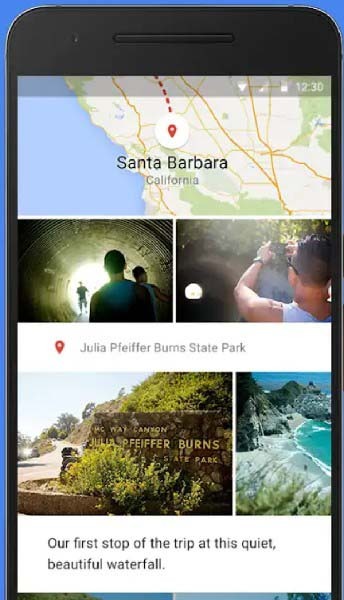 Your experience with Google Now will be enhanced and it only adds to your advantage. But this is not the main concern here. The point is that Google uses your information behind your back. When you Signed up for Google accounts, you did accept Google's terms and conditions, meaning you did give Google legal rights to use your information. So the question really boils down to this: How much do you trust Google? One irony here though. You use Google's other services like Gmail, Google maps, Google drive, Google Now without much concern. But you become extra concerned with your photos. Why? 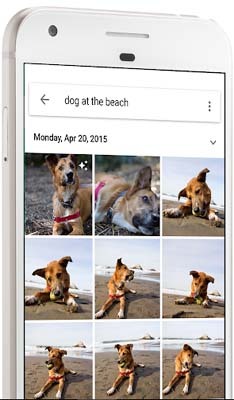 As per collecting information is concerned, Google photos is nothing new. 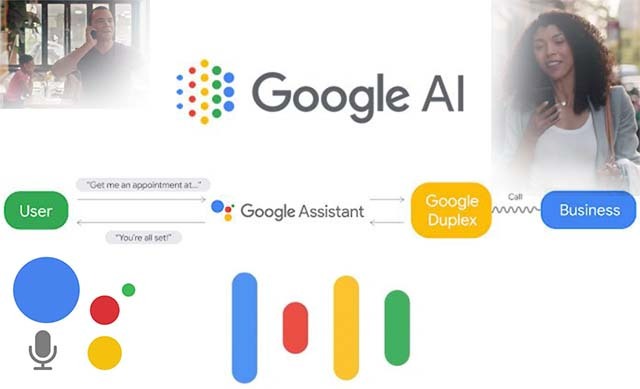 Using the free services of Google, you did put your trust in Google. But still Do you trust Google? You may also like reading this nice article @ androidauthority.com on whether you should be worried about your privacy with Google photos. Your emails, which you consider private and official, are actually read by Google to collect information about you. For example, the Google app on your phone, knows when your next flight is leaving, and whether or not it has been delayed, based on emails you get from airlines and travel booking sites. You might have sometimes noticed Google Calendar automatically adding restaurant reservations and similar events to your schedules. Where do you think they got those information?